Our Balsamic Garlic Roasted Brussels Sprouts are as tasty as they are beautiful. 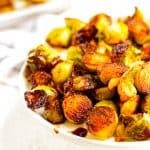 Very easy to make and inexpensive, this recipe for Brussels sprouts is the perfect healthy holiday side dish. 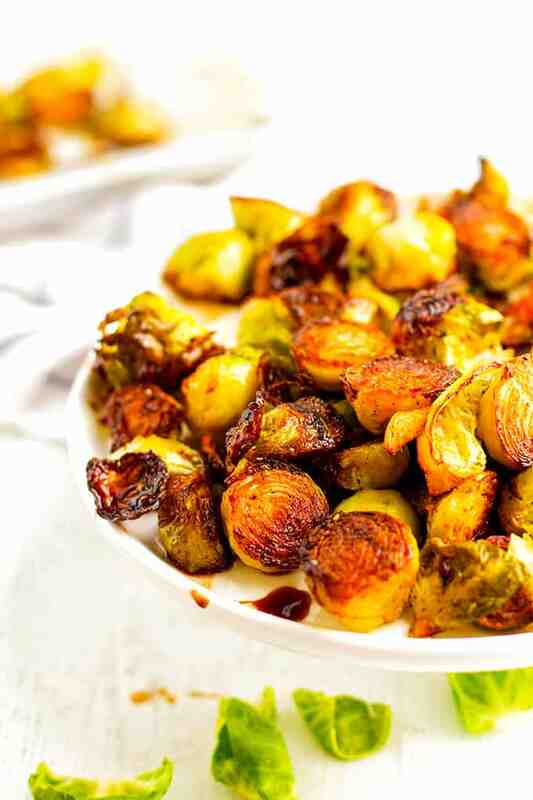 Anyone can make these Balsamic Garlic Roasted Brussels Sprouts. Living in Wisconsin certainly has its challenges, mostly weather-related. But it also has its rewards. 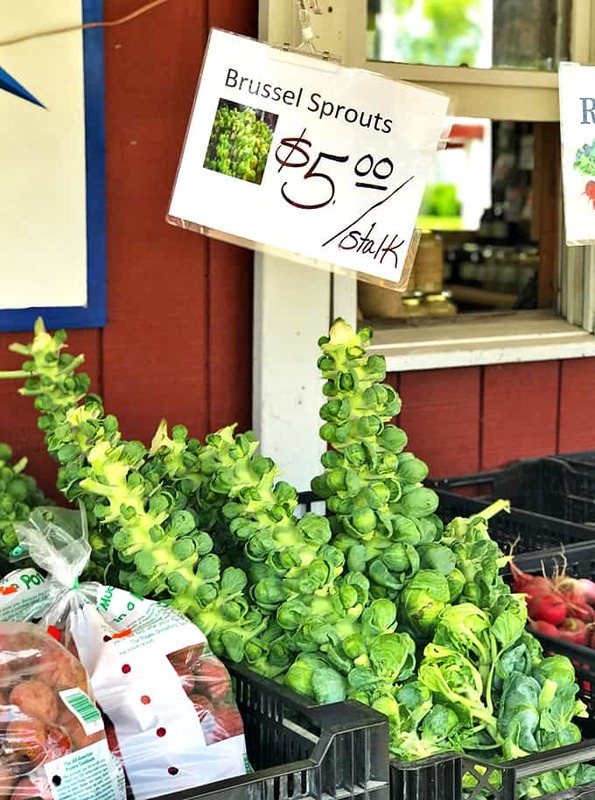 Unparalleled scenic beauty, fresh farm eggs, locally sourced butter, and garden-fresh produce galore are just some of the benefits of living in America’s Dairyland. Many people don’t have access to fresh Brussels sprouts, but if you do then you know they are grown in stalks as shown above. To harvest the Brussels sprouts, you simply twist each one until it breaks away from the plant. It’s just as easy as filling up a bag from your local grocery store produce bin! Ingredients for our go-to Brussels sprouts recipe. Use regular olive oil for this Brussels sprouts recipe. If you’re wondering how to cook Brussels sprouts, we like this super simple method of starting with a hot frying pan and finishing them off in a hot oven. 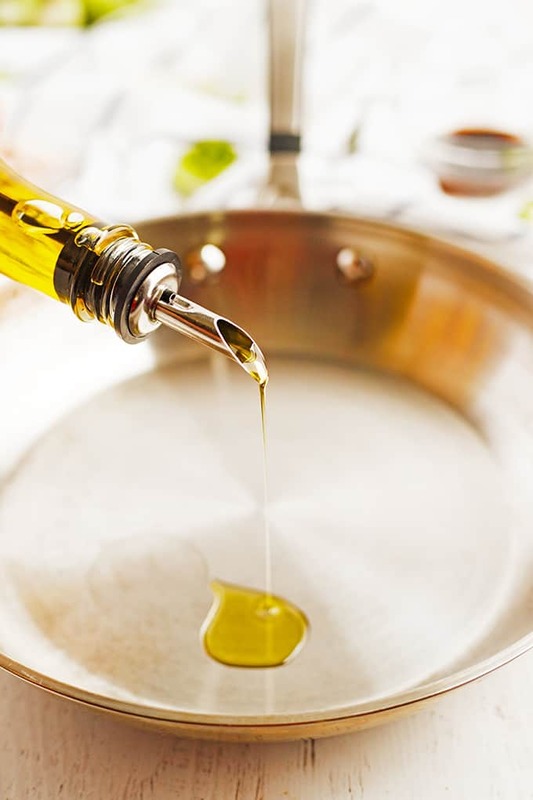 We try to use olive oil while cooking, whenever possible, because of it’s healthy profile. 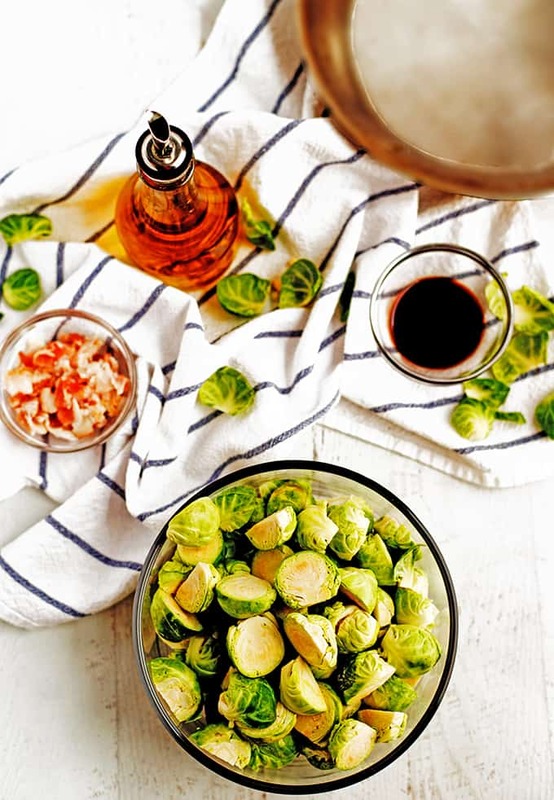 Use regular olive oil for this Brussels sprouts recipe if you have it since it has a higher smoke point than extra virgin olive oil and will allow you to get a hotter sear on the cut edges of these sprouts. Use a frying pan sear the cut edges of these Brussels sprouts. Start by slicing the Brussels sprouts in half, top to bottom. Next, you’re going to heat the olive oil in a frying pan until it simmers. 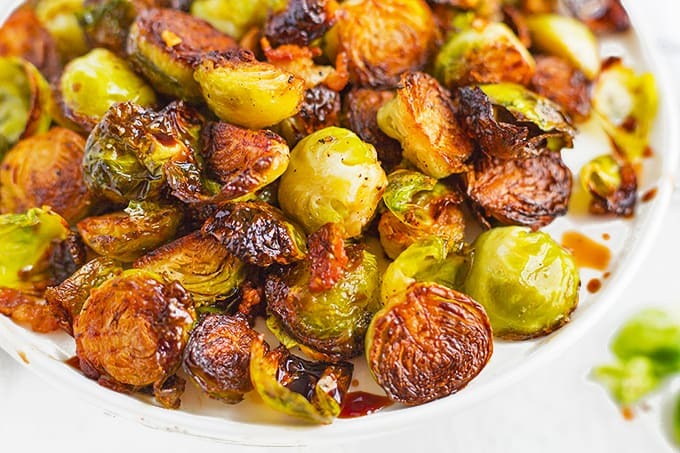 In a single layer, place the Brussels sprouts cut side down in the hot oil and add the garlic and salt and pepper. Roasted Brussels. Sprouts. 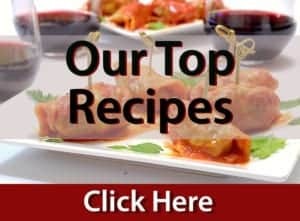 Are an easy and healthy side dish. You’re going to finish roasting these Brussels sprouts in a 400° oven, for about 10 or 15 minutes. Shake the pan a bit, every five minutes or so to help ensure an even roasting process and keep an eye on the sprouts because oven temperatures can vary. Slather these Brussels sprouts with some balsamic vinegar. Once these sprouts come out of the oven, they’re almost ready to serve. First, though, you’re going to slather them well with a healthy dose of quality and aged balsamic vinegar. This roasted Brussels sprouts recipe can be made in about 30 minutes. As with all recipes, make this easy Brussels sprouts recipe your own. Adjust the amounts of salt and pepper to your taste and the same hold true for the garlic. 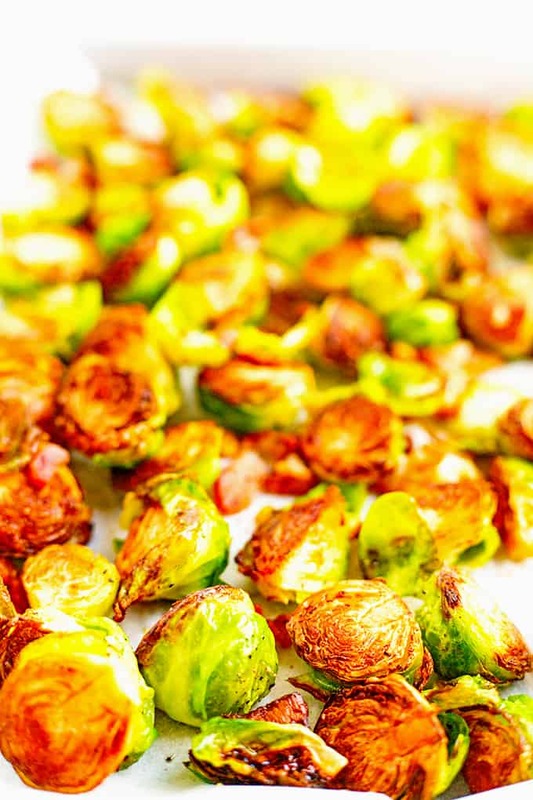 Try these oven-roasted Brussels sprouts for your next special dinner. 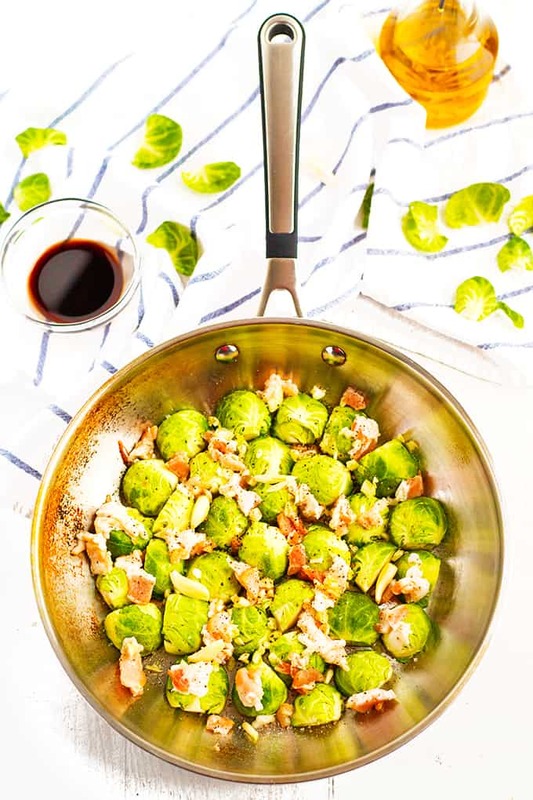 For some delicious variations for this Brussels sprouts recipe, consider adding some chopped pancetta or some chopped bacon. Either will lend a nice flavor to this easy side dish. Roasted Brussels Sprouts from Platter Talk start off on the stove top and finish in a hot oven. 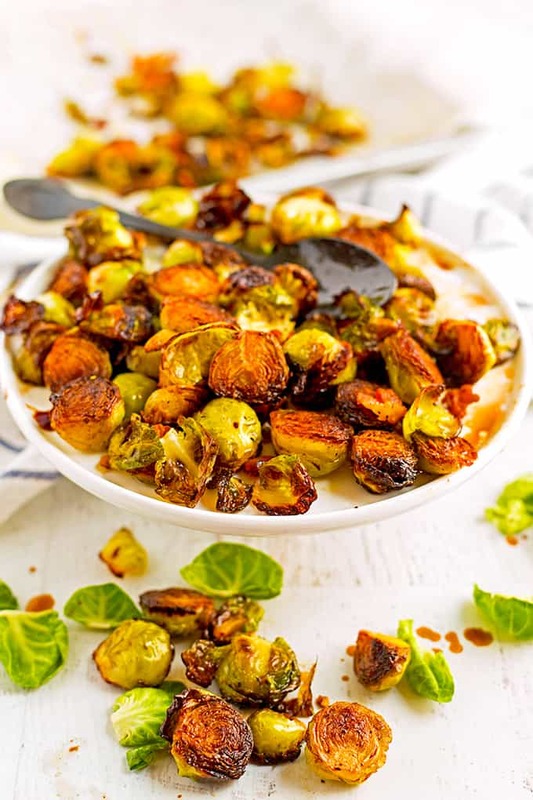 Lightly dusted with salt and pepper, these sprouts are caramelized with savory garlic and bathed in balsamic vinegar before serving. Recipe from The New York Times. Preheat oven to 400° F. Heat olive oil in a large skillet or frying pan, until it shimmers. Place sprouts cut side down and add garlic and salt and pepper. Cook undisturbed until cut edges of sprouts are lightly brown, about 5 to 7 minutes. 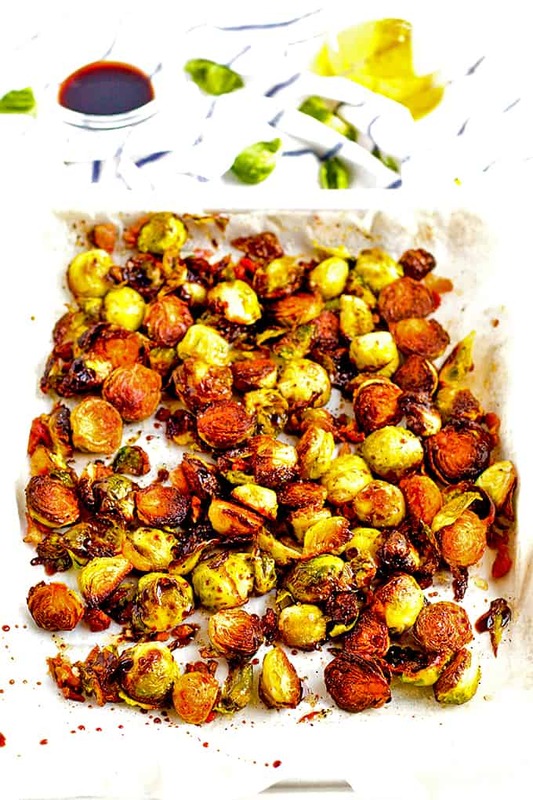 Transfer the Brussels sprouts and garlic to a baking sheet and roast for about 10 minutes, be sure to shake. the pan every five minutes or so and keep an eye on the sprouts to make sure they don't get overdone. Remove from oven, place in a large bowl an toss in the balsamic vinegar. Add more salt and pepper, if desired. Serve immediately. Consider garnishing with finely grated Parmesan cheese. Pin this recipe for Brussels Sprouts for later. These look really amazing! Can’t wait to give this a try! I’ll be wanting seconds of these! A delicious side that’s perfect for the holidays and everyday meals as well! Hi Dan! These sound amazing !! We love Brussels sprouts so can’t wait to try them! I am so glad we’re able to get fresh Brussel spouts now. It’s one of our favorite fall vegetables and you’ve added all the ingredients that we love. Garlic and balsamic vinegar is a great addition to the roasted vegetables. Forget the cream — all the sprouts need is just a touch of seasoning. You have all my favorite flavors going here.. Balsamic, garlic and roasted.. I usually make a similar with cauliflower but I’m going to try Brussels sprouts I love how that is caramelized. Brussels sprouts are one of the favorites of a side dish in my family. 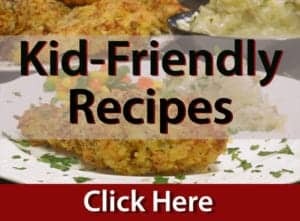 It is really easy and tasty. This is so delicious and it makes my mouth watering. I’m a huge fan of Brussels sprouts and could cheerfully consume balsamic vinegar every single day! You have the beautiful golden brown colors perfect on those sprouts! This is one of my favorite side dishes- simple, but so tasty! I am in Wisconsin as well and I concur on the weather, but it is a beautiful place to live! 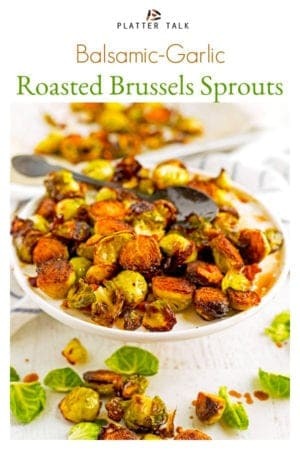 I love these and the colors are magnificent I always use balsamic on everything and I just love brussels! I think that Brussels Sprouts on the stalk are so beautiful! And your recipe perfectly captures their yumminess!